While many residents in the UAE are struggling to understand how the value added tax (VAT) will impact the way they interact with their banks, experts say that there is no reason to be alarmed. 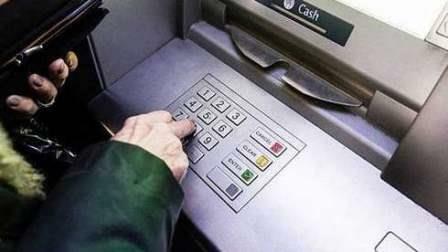 Customers will not be charged five per cent VAT on the amount withdrawn from ATMs other than their own bank, rather only on the Dh2 fee charged by the banks, according to tax experts. The five per cent VAT will be levied on the Dh2 fee charged by banks when withdrawing from ATMs of other banks - which translates to around a nominal 10 fils per transaction. "When you withdraw from your account, there is no transaction, so VAT does not apply in such case," says Nirav Shah, director, Fame Advisory. "The VAT will be payable only on the fee charged by the banks, which is a nominal amount of Dh2 per transaction in general; so after applying five per cent VAT, it will become Dh2.10 from January 1, 2018, onwards. In essence, it does not hit customers' pockets because even if you do 50 such transactions in a month, your total cost is going to rise maximum by Dh5," says Mayank Sawhney, director, MaxGrowth Consulting. Experts have noted that banks will have to absorb most of the VAT charged on them by their vendors and suppliers, because the consumption tax on the majority of their output is exempt, so they cannot recover input VAT they pay to their vendors for various goods and services procured by them. The UAE will implement five per cent VAT on certain goods and services from January, 2018, as part of the GCC-wide agreement. Saudi Arabia is the only other Gulf country to join UAE in implementing VAT.